Reported from Antaranews, The customary peace process involving all tribes in Maybrat District, West Papua, will be implemented to end the dispute over the location of the regional capital. 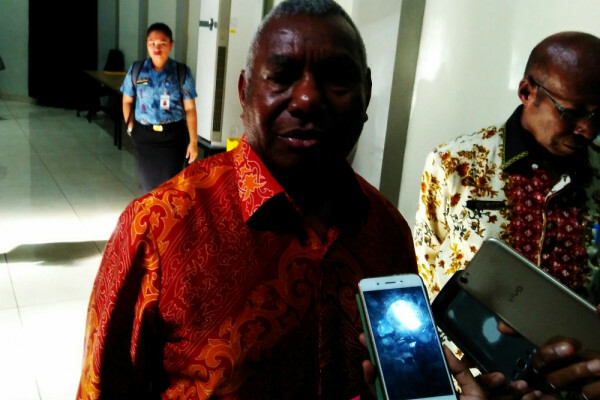 West Papua Governor, Dominggus Mandacan in Manokwari on Sunday said the efforts to reconcile the settlement of the Maybrat capital problem had been carried out by a team led by former South Sorong Regent Ottow Ihalauw. The procession of indigenous peace to be held in Maybrat, said the governor, will be attended by Minister of Home Affairs Tjahjo Kumolo. "The team has done a good job of communicating at six points in Maybrat and the results of the reconciliation team work have been submitted to the Minister of Home Affairs," Dominggus said. On May 28th, the reconciliation team presented the results of the work obtained before the Home Affairs Minister. Until finally it was decided that the capital of Maybrat Regency returned to Kmurkek according to the law of the establishment of the district. According to him, the decision was taken by the Minister of Home Affairs by considering the data and information submitted by the reconciliation team. "There is no intervention from anyone, it is purely the result of a reconciliation team that has met with people in six areas of Maybrat," the governor said. He expressed, this customary procession will be held two weeks after the decision of the Minister of Home Affairs on May 28, 2018 and then in Jakarta. Nevertheless, the governor is very understanding of the occupation of the Minister of Home Affairs. "Moreover, the invitation is approaching Idul Fitrhi Day, not to mention other activities that must be done by the Minister," he said. Mandacan hopes that the indigenous peace to be followed by all tribes and clans in the district can be carried out as soon as possible. So that the activities of the government immediately run normally and the development program takes place optimally.